One could say that designing their home around “design trends” is absolutely ridiculous, but I beg to differ. Why? Well because design trends for the home tend to last a few years, so choosing to design your home around certain trends can definitely get you some more bang for your buck – than say buying the latest coat that is so 2015 next year! 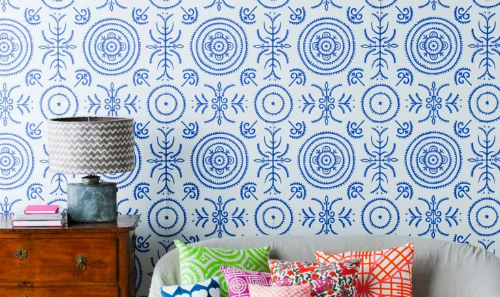 That being said, today’s trend that I wanted to look at is wallpaper, and it’s one that has been growing a few years (a good indicator that it will most likely be around for a while). When I first started to see wallpaper making a comeback, I have to admit, I cringed a little. 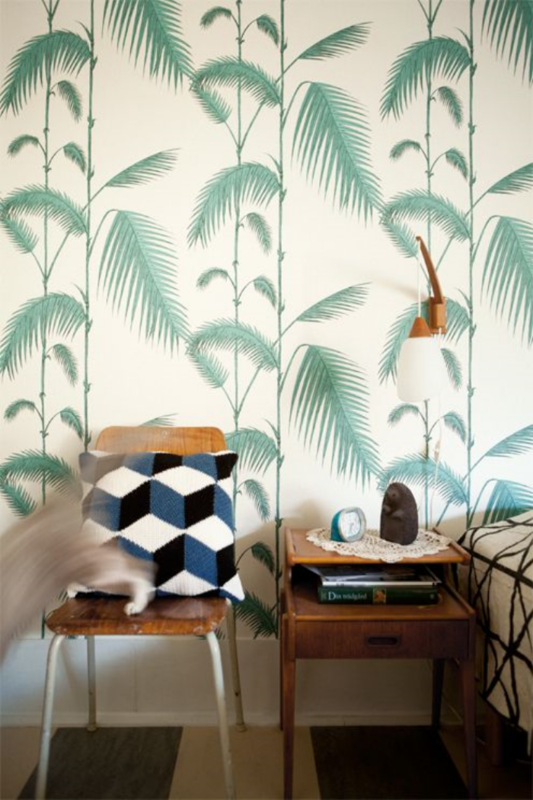 Memories of peeling mustard & green striped paper on my childhood bedroom wall came back way. too. fast. Thankfully we live a in a world where technology and design have developed immensely. 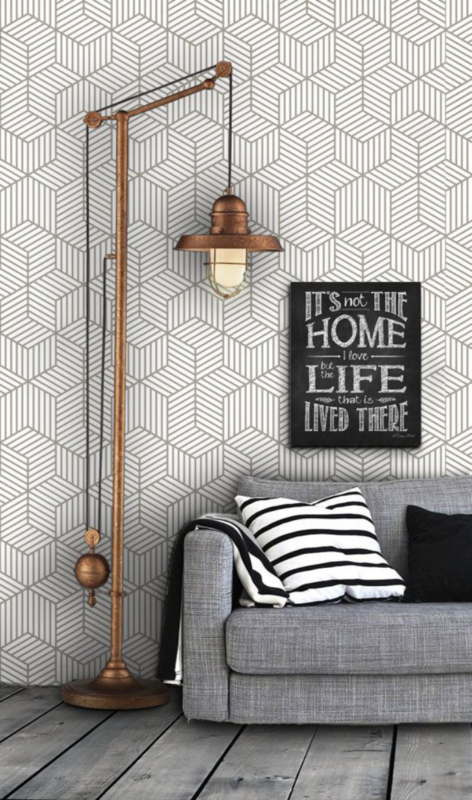 Now days, a quick search on Pinterest will pull up hundreds of drool-worthy rooms featuring gorgeous wall paper for any and every room of the home. From abstract art or small scale prints to incredible textures or full wall murals – anything is possible! But as the first choice is often the hardest – choosing what look you’d like to go for – below are a few options to help narrow the field. Life imitating Art: Or rather art imitating life. Anything tropical, floral or depicting our gorgeous mother nature – be it a realistic photo or something a little more artistic – these wallpapers gives a room a fresh, vibrant and welcoming feel. 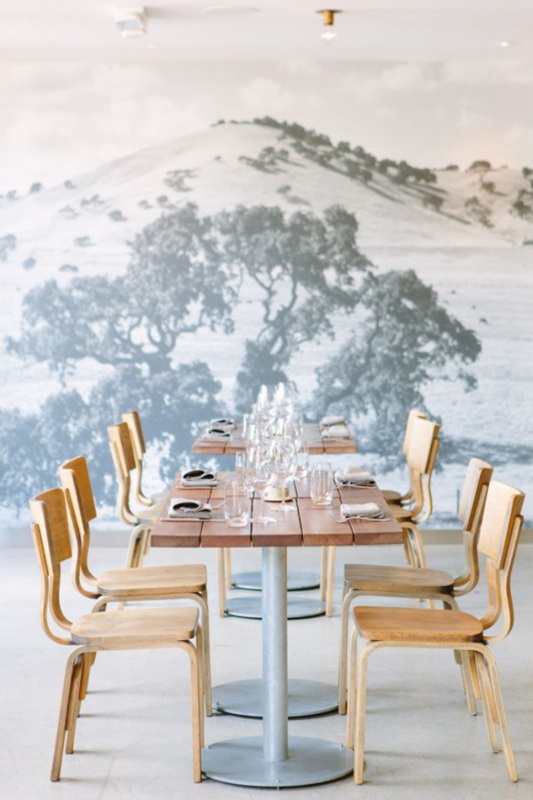 Wall murals: Think large scale images that take up a whole wall with one image of a scene, city or map. Possibly my preferred choice of wallpaper as they create a sense that the room doesn’t stop where the wall does – making spaces seem larger than they really are. 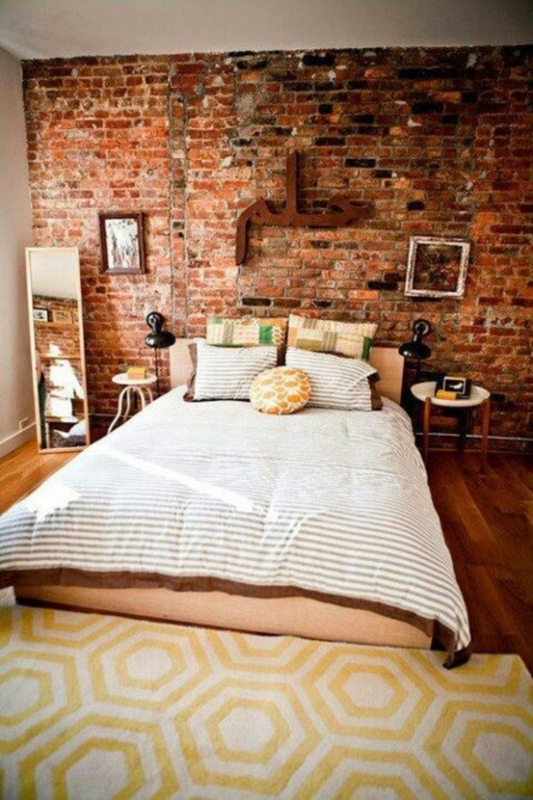 Texture: I’m talking wood grain effects, brick walls (like this one below), fabrics or the ever coveted sea grass /grass cloth wallpapers. These styles completely change the look and feel of a room by visually changing the feel of the architecture of a space. Genius. 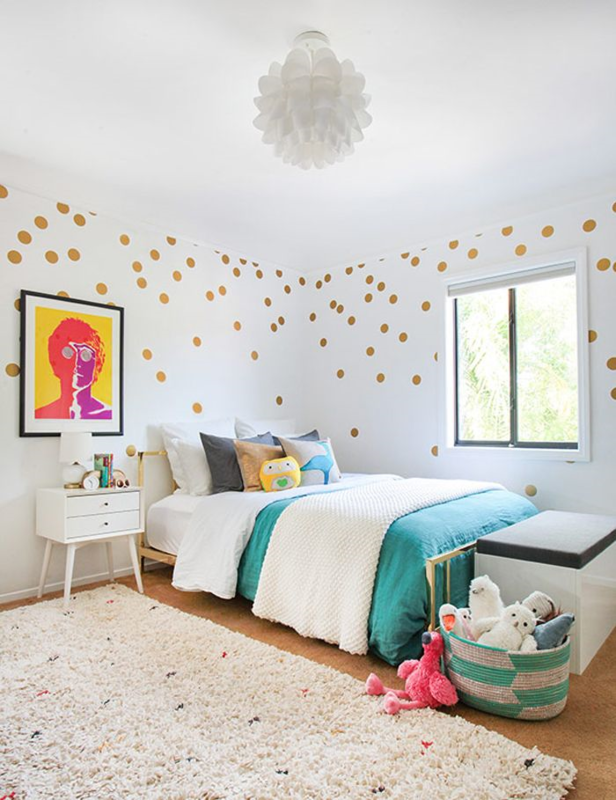 Wall Stickers: From inspirational quotes to polka dots or sweet animals for nurseries – wall stickers are great as they are easily removable and give you the ability to be the designer. Want something a little asymmetrical? Or would you prefer all your ducks in a row? With wall stickers the choice is yours to lay out the design however YOU like. So tell me, whats your favourite? Have you already got wallpaper at home? How did you decide what was going to adorn your walls and are happy with the results?